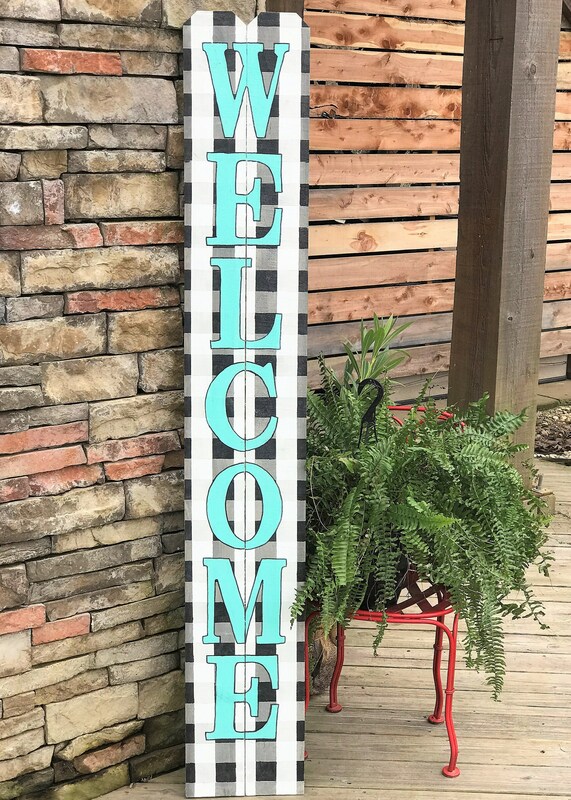 These signs are my absolute favorite project to paint because I feel that they add a beautiful touch to any porch. Its no secret of those that know me, that buffalo plaid makes my heart pitter-patter. You will see this timeless, farmhouse style print popping up on many items in my shop for that same reason. I hope this gives you the warm fuzzies as well! - This particular sign is black and white buffalo plaid as the background. The lettering is painted turquoise with black trim. My signs are always 100% hand painted and vinyl is never used. Not the colors you were wanting? Just contact me and let me know what you need!